We make machines smarter. You win. Helping turn business challenge into success with Artificial Intelligence and Machine Learning since 2007. We are serving companies in energy, banking, insurance, telecommunications and hospitality industries since 2007. Covering five countries on three continents, we help our clients to be more effective, efficient, better informed, and to make smarter decisions. To win at their business. We remain focused on applying core principles of artificial intelligence through our proprietary technologies, algorithms and data-sources in support of our clients. To learn more about what we do, have a look at our cases and technologies. Our platform enables business solutions across the range, providing analytics, prediction, workflow improvement, human-machine cooperation and decision making capabilities. Using our process, we have solved numerous business challenges since 2007 in multiple industries, continents and countries. Have a business challenge and think we can help? Since 2007, we have helped solve numerous business challenges. A selected sample of use cases to which we applied our technologies and processes indicates the breadh of our solutions. The financial planning, services and communication departments of Essent struggled with a percentage of monthly energy invoices being paid past due. In order to predict the percentage of invoices which can be expected to be paid on time Ai Appliedpredicts and identifies risks with an unseen level of accuracy. Ai Applied combines Essents internal client data with insights from news analysis in order to create an uniquely accurate and expressive predictive model. The procedure for obtaining a mortgage involves a tremendous amount of time (weeks to months), stress and paperwork, for both the bank and the customer. In order to improve competitiveness, the Volksbank has the ambition to discard the old way of doing things, moving forward with the initiative of “mortgage within one minute”. This required a whole new approach, leveraging sources of information which can be obtained autonomously as well as accurate risk prediction systems. When a customer posts a request for legal assistance, ARAG’s specialists decide on the eligibility. To respond to the customer, a legal foundation needs to be defined that pertains to the customers requests. Finding the legal foundation and crafting a response letter used to be an entirely manual process. Ai Applied’s system automatically predicts the likely response, and automatically finds a template letter with the appropriate motivation, leaving ARAG’s specialist to personalize and send the letter, training the system further in the process. When ING Bank looked for a way to improve the quality of their financial consulting, they needed a tool flexible enough to ingest, analyze, visualize and monitor the best practices over time of their star consultants without interrupting the work flow. Speech-to-text recognition is combined with Ai Applied’s techology to enable never before seen level of quality control. To ensure the best possible experience for their customers, KPN Telecom wants to know what went well and what didn't to prioritize and monitor solutions. Ai Applied’s rechnology is used to monitor news and social media, e-mail boxes, NPS and call-center transcripts to provide a full view of topics, sentiments and priorities of their customers. 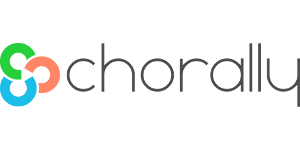 Chorally provides a regular, comprehensive and holistic overview of visitor feedback for the travel industry by crawling and indexing reviews of travel experiences across many platforms. Using Ai Applied's Text APIs, this data is turned into tangible value and actionable insights, empowering the setting of correct priorities in the improvement of travel offerings for their customers. When Vodafone wanted to reach the teenage demographic in the Netherlands, based on their preoccupations as they expressed these on social media, Text APIs provided a full technical solution which allowed Vodafone to analyse the collected data in great detail. As a result, Vodafone ran a highly targeted and succesful media campaign, using the insights for targeting and in advertising materials. Did these use cases make you curious? Have a business challenge you think we might help solve? Our services are enabled by a combination of our experience and our proprietary technologies developed over the years. A short overview of our technical capabilities is provided here. Our customized machine learning and clustering algorithms allow for combining different and entirely disparate data sources in order to provide accurate, explainable and monitorable prediction and decision capabilities. Link your company’s internal data with external context, such as news or public / social user profiles to uncover unexpected and useful connections. Low maintenance: self-learning, self-assessing, self-improving systems allow for trouble free deployment in real scenarios. What language are they writing in? Our API's automatically distinguish between tens of most commonly used languages online. What are they writing about? What are the most important topics in a conversation or text? Our API's automatically extract the most important topics for you, from any number of messages. How do they feel about what they write? What is the tone of voice of a message? Our API's automatically and accurately detect sentiment of both topics and messages. Who is writing? Our API's automatically estimate the age and gender of the text author, based on just the text, and optionally the author's (user)name. Analyzing an employee engagement survey? Processing customer feedback? NPS feedback? Our systems offer instant analysis and automated, fully customizable reporting on texts from surveys, meeting summaries, written reports and other internal documentation. Discover useful patterns, problems, opinions and insights from your every-day company activities. Tracking your social media channels? Social insight into your brands and business? Our systems empower you with personalized real-time reports with insights from social media, online news and other real-time sources. Safeguard your brand value, manage the reputation and measure the engagement, the underlying feelings and problems and needs of your target-audiences towards your brands, products and initiatives. Would you like to know more about technologies, or how they could be applied to your business challenge?